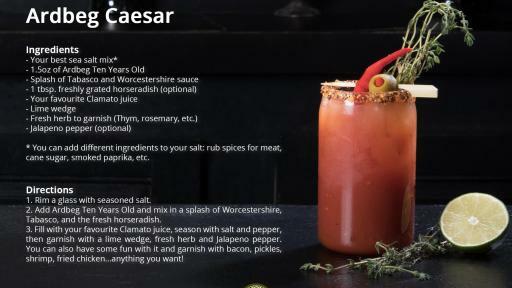 Your favourite zesty cocktail is getting a smoking upgrade! 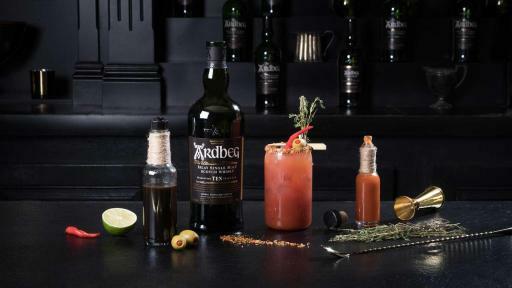 Since 1815, Ardbeg has been distilling award-winning Scotch whisky that seamlessly balances complex flavours. 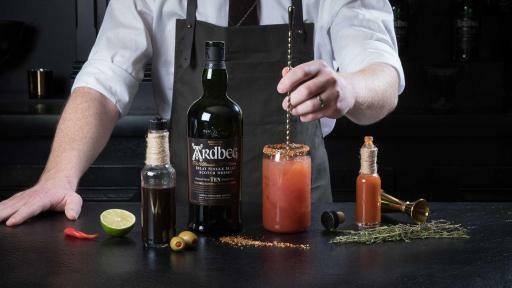 To commemorate Canada’s 150th, Ardbeg is celebrating by fusing the classic Caesar cocktail with the Ardbeg Ten Years Old Single Malt Whisky. Your favourite zesty cocktail is getting a smoking upgrade! The multi award-winning Ardbeg Ten Years Old was introduced in 2000 and was named World Whisky of the Year in 2008 by Jim Murray. It is non-chill-filtered, bottled at 46% ABV for maximum texture and mouth-feel and matured in a balance of 1st Fill, which deliver vanilla sweetness, and 2nd Fill, which deliver spiciness, ex-bourbon American Oak casks. Aroma – A burst of intense smoky fruit and peat, infused with zesty lemon and lime, is wrapped in waxy dark chocolate. Bold menthol and black pepper slice through the sweet smoke followed by tarry ropes and graphite. On the nose, savour the aroma of smoked fish and crispy bacon alongside green bell peppers, baked pineapple and pear juice. Add water and an oceanic minerality brings a breath of cool, briny seaspray on chalky cliffs. Waxed lemon and lime follow with coal tar soap, beeswax and herby pine woodlands. Toasted vanilla and sizzling cinnamon simmer in the background with warm hazelnut and almond toffee. Taste – An explosion of crackling peat sets off millions of flavour explosions on the tongue: peat effervesces with tangy lemon and lime juice, black pepper pops with sizzling cinnamon-spiced toffee. A wave of brine infused with smooth buttermilk, ripe bananas and currants follows. Smoke gradually wells up on the palate bringing a mouthful of warm creamy cappuccino and toasted marshmallows. As the taste lengthens and deepens, dry espresso, liquorice root and tarry smoke develop coating the palate with chewy peat oils. 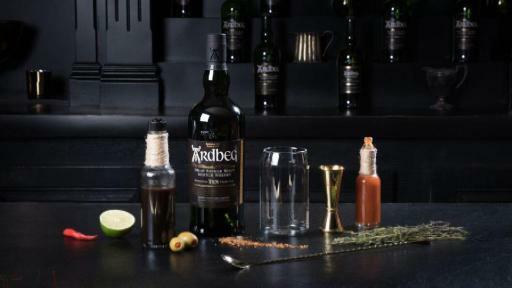 Ardbeg is the Ultimate Islay Single Malt. It was founded by the Macdougalls in 1815 who were prominent Islay landowners and saw the opportunity to expand their interests by setting up a distillery to use the surplus barley from their farming activities. This entrepreneurial spirit began in the 1790s and was finally given legal status in 1815. The island of Islay is celebrated as the “Queen of the Hebrides” - the chain of islands that runs the whole length of the Scottish mainland. The wild remote island was once home to more than 16 distilleries and today there are 8 still in production. 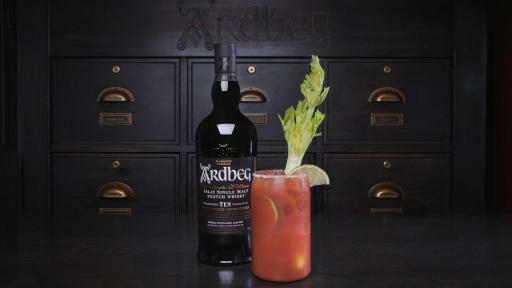 The Ardbeg distillery is situated on the rocky southern coastline of Islay, as the sea was historically the means of supply for all goods and materials, and of course the export of mature whisky to the mainland. 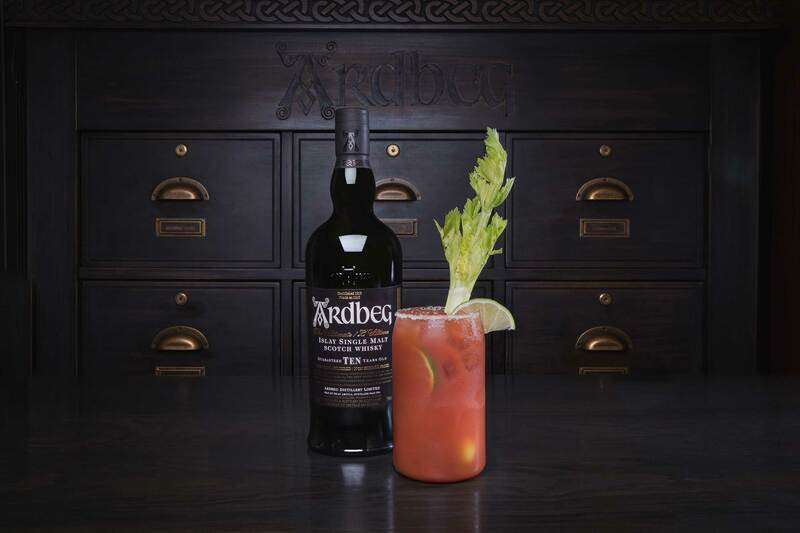 Ardbeg is Islay, Islay is Ardbeg, both in terms of the intensity and complexity of its peaty and smoky spirit but also in its powerful Celtic branding and heritage. 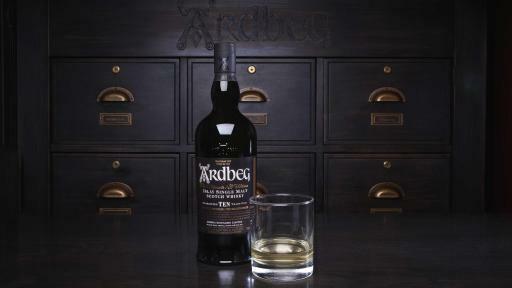 Ardbeg is the peatiest, smokiest of all the Islay malts, but certainly not a one dimensional peaty malt. 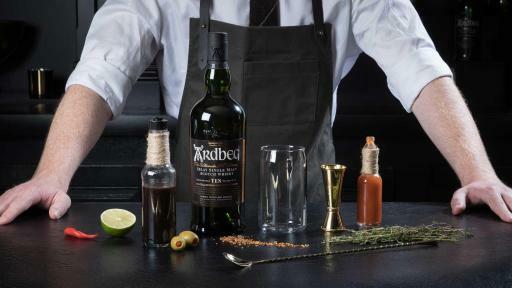 Rather, Ardbeg perfectly balances smokiness with sweetness to provide a wider complexity of taste. 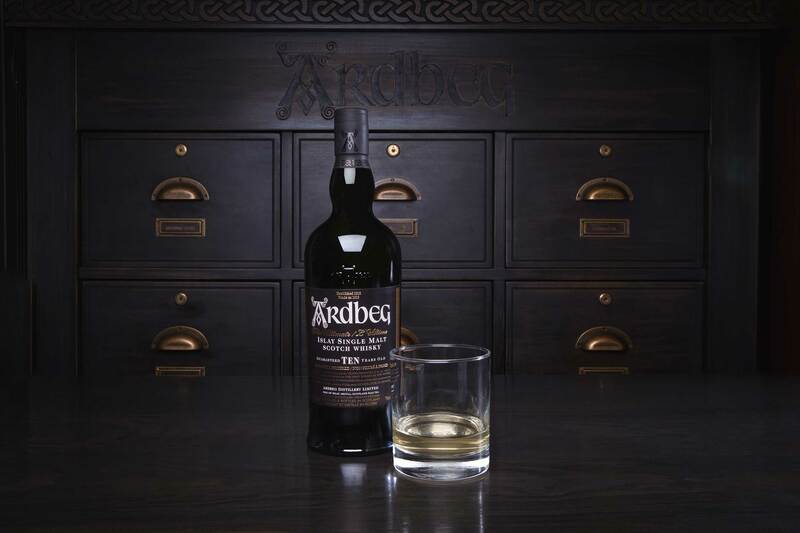 Ardbeg's portfolio of whiskies is the most awarded of all the smoky malts - Ardbeg has won 51 gold, double gold or best in class medals since 2008. These awards include “World Whisky of the Year” 2008 and 2009, “Scotch Whisky of the Year” in 2010 and “World’s Best Single Malt” in 2013.